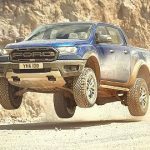 Depending on the year, the 1983-2011 Ford Ranger 4×4 was offered with a BW1350 or BW1354 transfer case, and were available as a manual shift, or electronic shift. 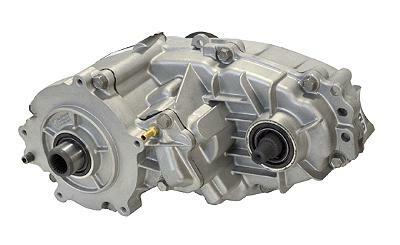 The BW1350 and BW1354 are both 3-piece aluminum part time transfer cases. 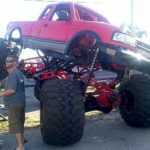 They both transfer power from the transmission to the rear axle, and the front drive axle when actuated. The unit is lubricated by a positive displacement oil pump that channels oil flow through drilled holes in the rear output shaft. 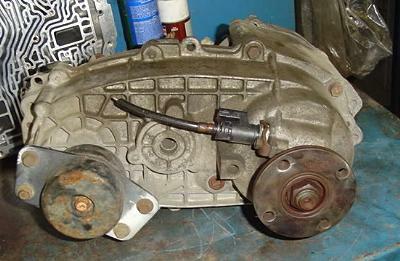 The pump turns with the rear output shaft, and allows the vehicle to be towed without disconnecting the driveshaft. 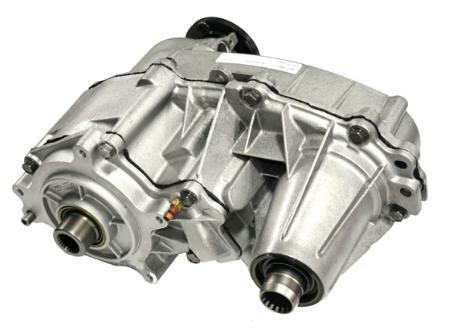 The BW1350 has a splined front receiver that accepts a driveshaft with a splined slip yoke. 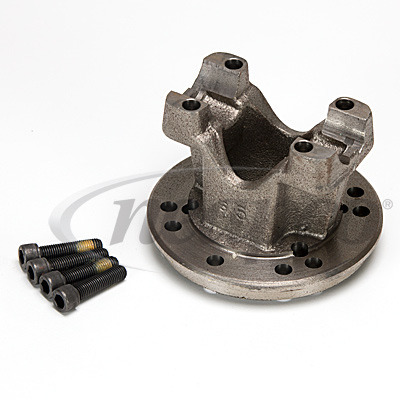 The BW1354 has a yoke on the front that accepts a driveshaft with a u-joint. The BW1350 and BW1354 should have a tag held on with a bolt. 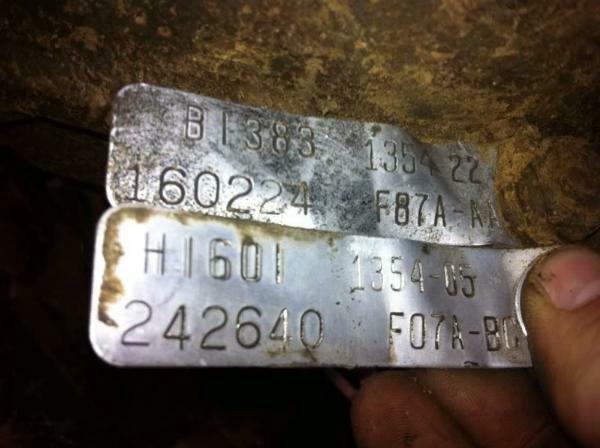 The top right portion of the tag will list the transfer case model number. The BW1350 can be quickly identified by the cone on the front for the front driveshaft. 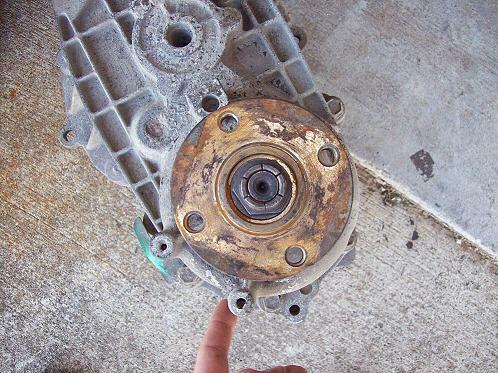 This transfer case uses a splined receiver instead of a yoke and u-joint. 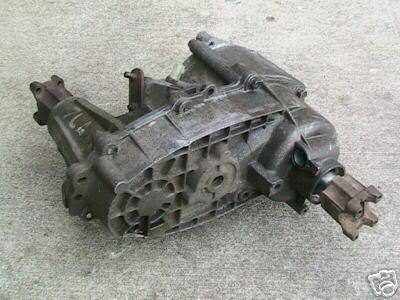 These transfer cases take a splined slip yoke on the end of the drive shaft that slides in to the transfer case. Note: The factory manual calls for Dextron III/Mercon or Mercon V ATF, NOT gear oil. 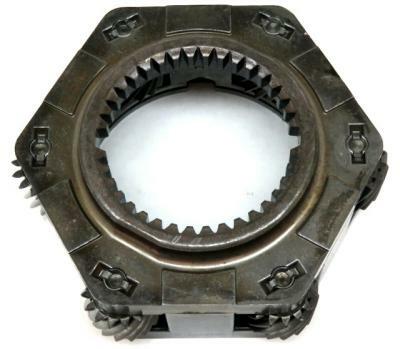 The BW1354 also had a (4) planetary gear set through 1992. 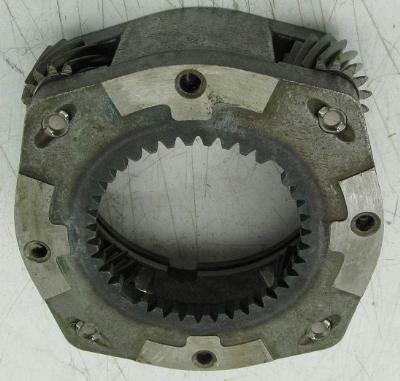 From 1993-2011, the BW1354 used a (6) planetary gear set. 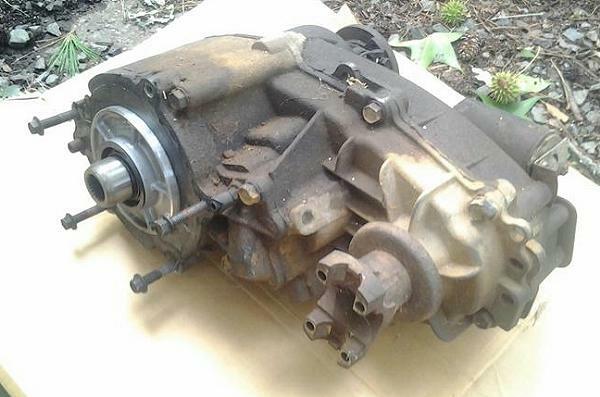 The BW1350 manual shift transfer case was offered in the Ford Ranger 4×4 from 1983-1990. It became available as an electronic shift from 1986-1990. 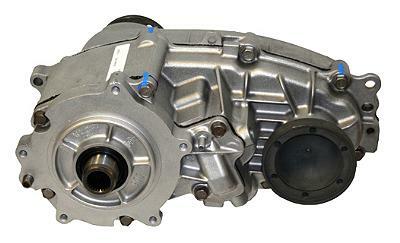 This 3-piece aluminum part time transfer case can be easily identified by the splined receiver on the front that takes a front driveshaft with a slip yoke. 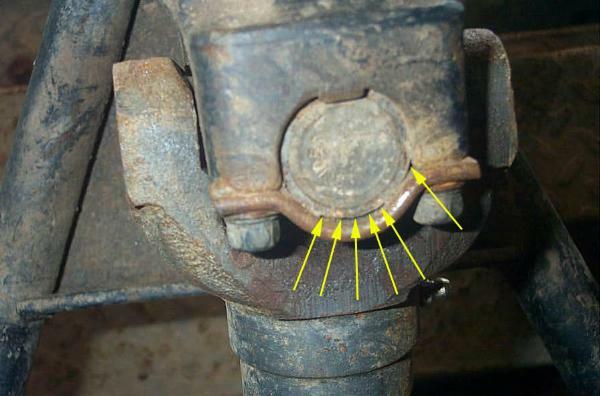 There is a small u-joint inside the front output cone of these transfer cases. 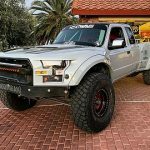 In an off-road application with a lift kit and decent wheel travel, you could actually pull the drive shaft out of the transfer case if the drivers side front wheel travels down to far. The 1987-1988 Ford Ranger STX High Rider 4×4, and the 1989 Ford Ranger STX Sport Rider 4×4 came with a BW1350 with a fixed yoke on the front. 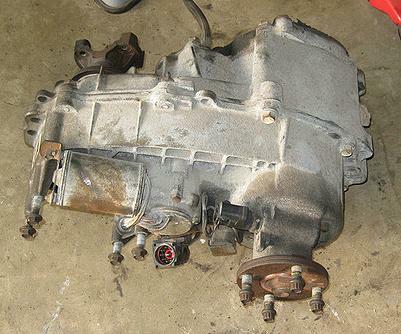 The BW1354 transfer case was available in a manual shift, or electronic shift. The manual version was used from 1990-1997, and then from 2002-2003. 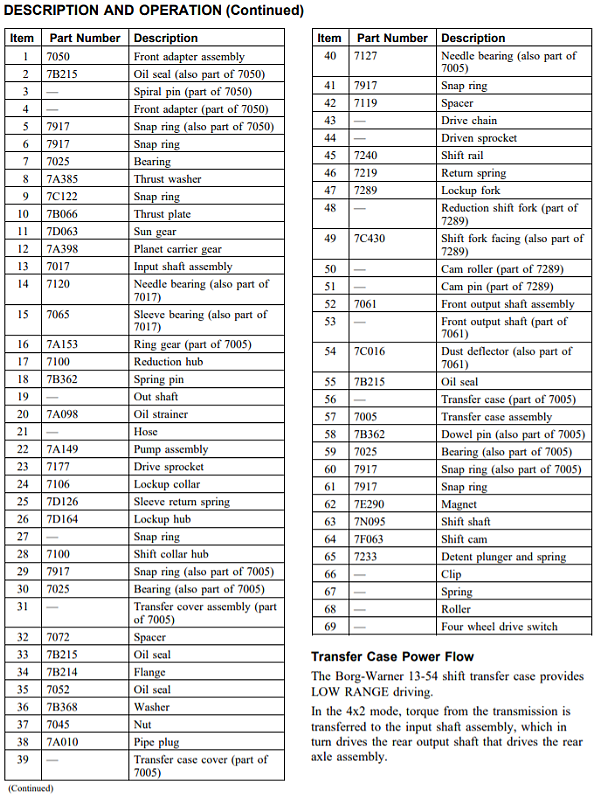 The 2002-2003 manual cases were only available on the Ford Ranger FX4. The electric version was used from 1990-2011. 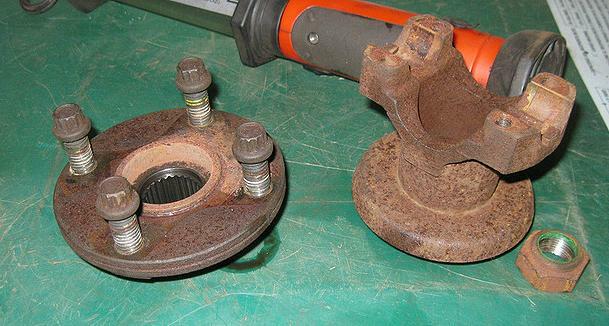 The 1998-2011 Ford Ranger transfer case came with a unique cup style flange for the ‘Tulip’ style front driveshaft. 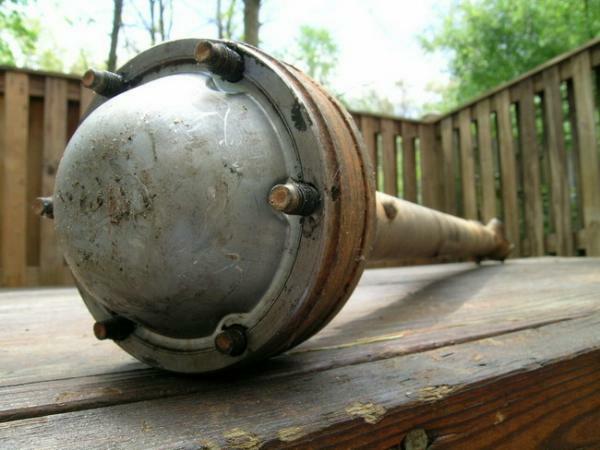 As mentioned above, the BW1350 used a front receiver that took a driveshaft with a splined slip yoke. 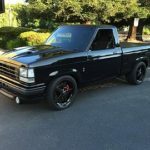 The 1987-1988 Ford Ranger STX High Rider and 1989 Ford Ranger STX Sport Rider used a BW1350 with a fixed front yoke. The front and rear yokes took a 1210 u-joint. Not only was the 1210 u-joint a weak link, but these yokes used u-joint straps to hold the u-joint in the yoke. The extended cab Ford Ranger 4×4 used a flat flange on the back of the BW1350 that also used a flange yoke. 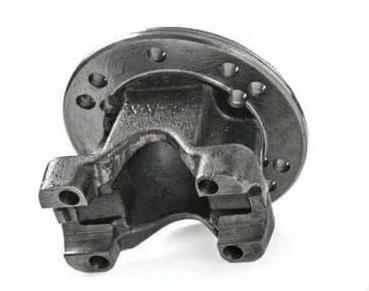 The 1986-1990 Ford Bronco II also used a flat flange on the BW1350 transfer case. These setups use a larger 1310 u-joint. 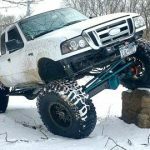 You can swap out the rear yoke on your BW1350 with a flat flange from an extended cab Ford Ranger or 1986-1990 Ford Bronco II. 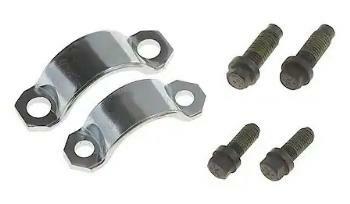 You can also use the flat flange from a BW1354. 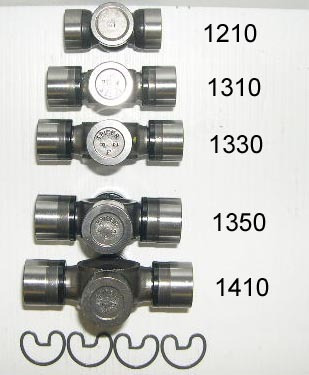 The BW1350 and BW1354 both use a 26-spline yoke / flange. 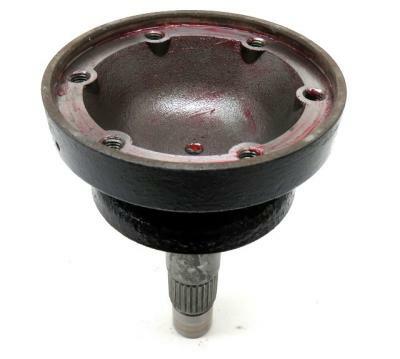 The BW1354 used from 1998-2011 used a front receiver cup and ‘tulip’ style driveshaft. 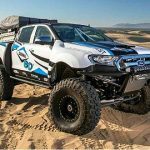 These driveshafts fail on Ford Rangers with suspension lifts. 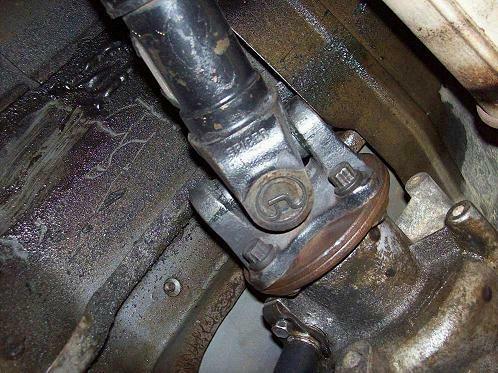 Adapters such as the one shown below allow you to switch to a tradition style driveshaft and u-joint. 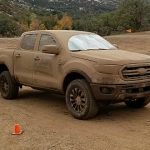 Rough Country and Superlift offer a replacement driveshaft, and an adapter to use an actual u-joint instead of a tulip style shaft. 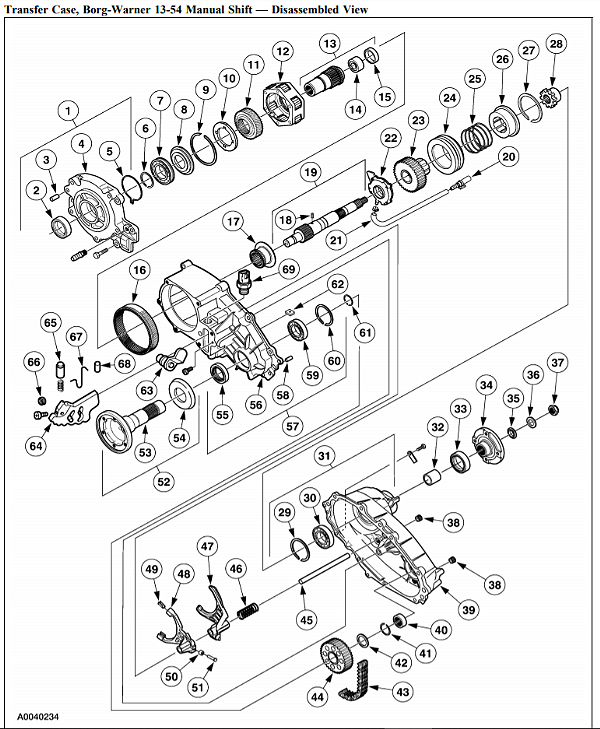 For more transfer case diagrams and part lists, click HERE. 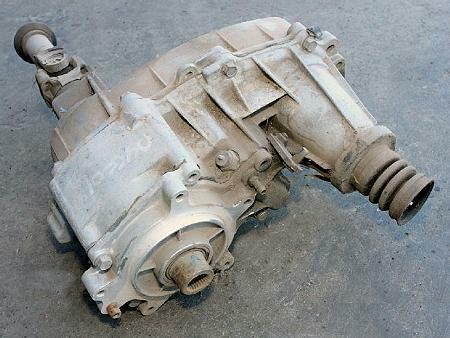 For more information on transfer cases or the 4-wheel drive system, check out Transmission, Transfer Case & Driveshaft.